ST Patricks day will always hold a certain special place in my heart for a variety of reasons. One of which is that I quite like the Isle of Green. Given that I have some Scottish and English ancestry I am not entirely sure where my love of the Irish stems from. I think I love the way that they are so at peace with the whole Irish joke thing. Any nationality that is so fine with being the brunt of so many jokes can't be all bad. Or perhaps it is their love of beer, or perhaps my love of Guinness, or maybe it is my attraction to leprechauns, who knows. Either way in my book the Irish are well deserving of a day of celebration that people the world over partake in. 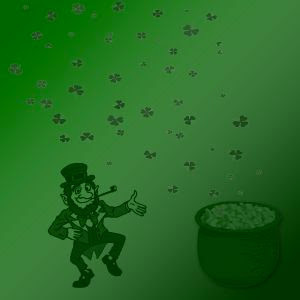 There have also been a few significant events in my life which have occurred on St Patty's day which to a certain extent I recall with rather fond memories but I will save those for another day. Now I know that St Patrick's Day is still some five days away but I just received this Irish wish email that I am supposed to forward on to all and sundry to receive some good luck. Personally I am not a believer in the whole email chain luck thing but I do particular like the wish that it shared. So rather than clutter up my friends inbox I am going to share the wish here instead.